As the month of March draws to a close, residents of Amritsar, in northern India, prepare to commemorate a solemn anniversary. Almost one hundred years ago, on April 13, 1919, soldiers under the command of British General Reginald Dyer perpetrated a massacre on unarmed civilians. The context of the massacre is significant, not only because it lends understanding of how such a thing came to pass but also because it highlights the importance the event had in India’s independence movement. Throughout the years, British rule in India had been marked by a number of uprisings. The most influential of these insurgencies occurred in 1857. Known by many in India as the First War of Independence, the rebellion is often characterized in England as the Sepoy Mutiny. A direct result of this event was the end of the East India Company’s governance of India and the beginning of what came to be called the Raj: direct Crown rule over the colony. After the rebellion of 1857, reforms were attempted in an effort to placate the Crown’s subjects. These measures, however, did not dampen India’s growing desire for self-rule. In the early 20th century, the campaign for independence gained powerful allies. Gandhi, Nehru and Jinnah were notable among these. By 1919 Gandhi’s Satyagraha movement had captured the imagination of the world. Non-violent civil disobedience was not only disruptive to British rule but also became a powerful public relations weapon. The British government’s reaction to the popularity of Gandhi’s philosophy was to double down on efforts to quell disturbances. Severe restrictions were imposed. These restrictions fueled public resentment. Shortly before the Massacre a number of precipitating events laid the groundwork for the tragedy. One of these was the arrest of two Satyagraha leaders, Satya Pal and Saifuddin Kitchlew. Another was a brutal attack on a British school teacher. Although Gandhi preached non-violence, many in India did not heed his message. A third element in the historic tragedy was that Reginald Dyer was in charge. He had displayed a brutal and racist temperament in earlier actions. An example of his inclination was demonstrated by his response to the attack on the British school teacher. The woman had been assaulted savagely by a mob. Dyer was outraged, as were many British in India and England. Dyer decided upon a punishment he felt was appropriate. He instituted what came to be known as the ‘crawl rule’. The street where the violence had taken place was cordoned off. Access to and from that street by any Indian man could only be accomplished if that man crawled, with his face down, the entire length of the street. Dyer explained his rationale:Some Indians crawl face downwards in front of their gods. I wanted them to know that a British woman is as sacred as a Hindu god and therefore they have to crawl in front of her, too. The final fateful element in the Jallianwala Massacre was the coincidence of a Sikh festival–Baisaki– and a peaceful march designed to protest the arrest of Pal and Kitchlew. The deadly combination of all these elements came together with tragic effect in Jallianwala Bagh. On the afternoon of April 13, 1919 General Dyer led a contingent of soldiers into Jallianwala Bagh. He told his men to take high ground and aim. Fifty rifles with approximately 1600 rounds of ammunition were trained on the religious celebrants and peaceful protestors. Dyer’s order was that the men shoot to kill. As the panicked crowd rushed to the exit, Dyer ordered his men to kill those who tried to get out. After the Massacre, Dyer explained that the shooting stopped only because he ran out of ammunition. Had he been able to bring machine guns into the area, he would have been able to kill many more. The toll from the massacre is hard to accurately assess. Official British body count was 379 killed and 1000 wounded. The Indian National Congress put the number of dead at 1,000. Dyer was hailed as a hero at first in England but was eventually asked to retire when the repercussions from the Massacre became evident. The effect of the Massacre on the Indian self-rule movement was electric. Many who had previously declined to campaign actively for independence now believed the British had to go. Rabindranath Tagore was one of these people. In 1920 Tagore wrote a letter to the Crown representative in which he renounced the knighthood that had been bestowed upon him by George V. Tagore declared that he was going to stand by his countrymen who were , “liable to suffer degradation not fit for human beings“. Today Jallianwala Bagh has been turned into a memorial. While the whole site commemorates the fallen, one particularly moving monument is called ‘The Martyrs’ Well’. 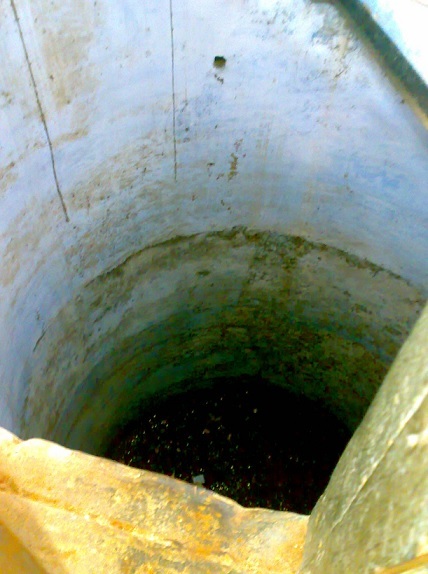 It is said that 120 bodies were recovered from the well after the Massacre was over. The Martyrs’ Well stands as a memorial to those who perished on April 13, 1919 in the Jallianwala Bagh Massacre. The essay was adapted from two books published by Rhythm Prism: Rabindranath Tagore and The Modern British Empire, A Brief History. Both books have a question and answer section appropriate for students. Each however, is written on a level that would be also of interest to adults. The language used in this essay is a bit more challenging than that used in the books.